A 4th-grade student at our church made this short video showing how much fun you can have doing your Sunday School review with the Pie Face game. 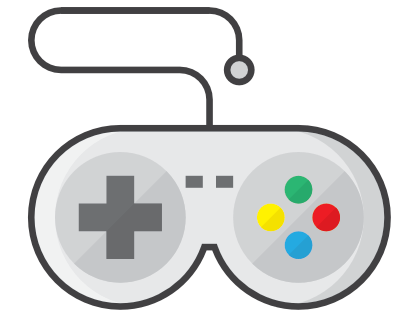 ​You may be thinking, "That’s a review game? It just looks like you’re playing Pie Face in Kid’s Church!" What you don’t see in that highlight video is that for each student to get a turn, they had to apply what they learned in our Bible lesson to a real-life situation. This video shows how we asked review questions before each turn. If you want to try this Sunday School review game, pick up one or both of these Hasbro games. Then read on for detailed descriptions of how we used them to review our lessons. The first time we played, we just used the regular Pie Face game and asked review questions before each turn. We kept this up until one team got a pie in the face. Whichever team (boys or girls) did NOT get pie in the face received a point for that round. 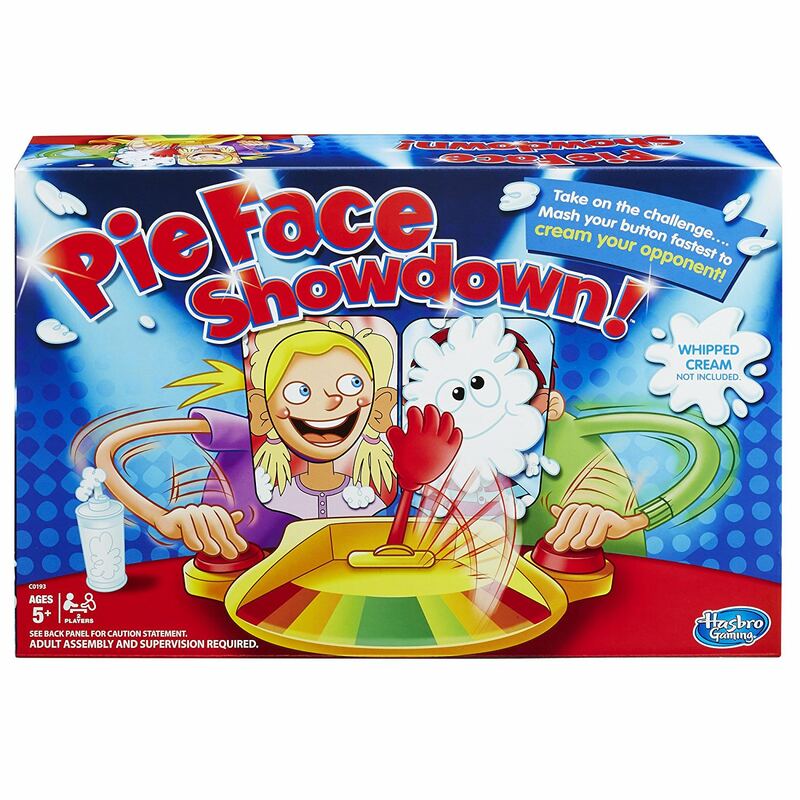 The next time we played, to turn it up a notch, we added the Pie Face Showdown game. Then the 5 players competed in the Ultimate Pie Face Showdown, which was a single-elimination round until one person was left. So we had a boy play a girl. If the boy won, he was still in, but the girl was “out” and sat down. Then we let the remaining boys play each other, and the final winner got to play our Adult Ministries Pastor and myself. He ended up beating both of us, which was about the most exciting thing in the world for all the kids. If there’s one thing I remember from the classes I took to get my High School teaching credential, it’s the importance of reviewing with your students over and over. And at that time, I was teaching High School Physics, which is valuable, but not nearly as valuable as what we teach on Sunday mornings. The teacher-training I took showed us study after study, all demonstrating that the best way to get something into long term memory is to learn it, then forget it. That process moves it from short-term to long-term memory. That's the most effective way to study for a test - go over the material, then put it aside for a little bit and let your mind rest. Then pull it out and go over it again, and focus on the parts that you forgot. If you do that a couple of times, pretty soon, you know it really, really well. Well, for Sunday Schooling, it makes even more sense! We’re not just teaching kids some good-to-know facts, or even practical life-skills, we’re teaching all-important life-changing-truth-from-the-living-and-active-Word-of-God! Why in the world would we just teach that one week, and then never review it? I say we should always do a review of the lesson that same week, and then review that truth again the following week. And the next week. And so on. We want our kids to go through that process of learning, forgetting, learning again, over and over, until that truth lodges in long-term memory and really becomes a part of their subconscious worldview! 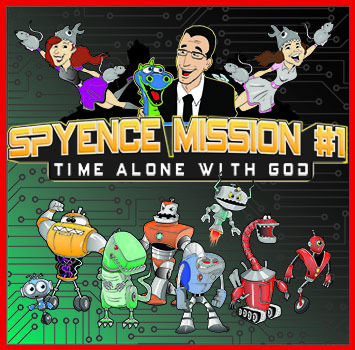 We used Spyence Mission #1 at our church last July, and there’s one boy who comes to our town to visit his grandparents every summer for just a few weeks, and he happened to be there during our Spyence Mission. Then he went home to his parents' house, and I didn’t see him until he was back at Christmas-time, five months later. 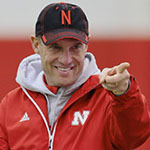 I high-fived him, and thought, "How can a kid remember a lesson from 5 months ago, word for word?" And the final week of the curriculum, week 6, has a gigantic review of all of Weeks 1-5. All that reviewing made a lasting impression on Caleb. So, can you review too much? Probably. But should most of us review more? I think so. But Make It Fun: A boring Sunday School review time is not going to help anybody. 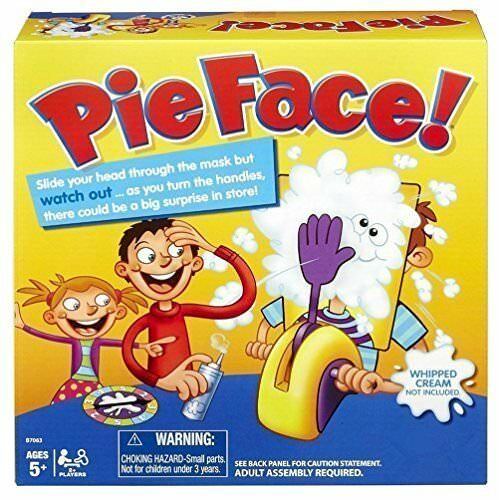 So find some fun ways to review, like the Pie Face game above. If you want to use the Pie Face game to illustrate a Kid’s Church lesson, instead of reviewing it, check out this fun article by Christine Yount Jones at childrensministry.com. She uses Pie Face to illustrate the topics of waiting for the Lord to answer prayer, resisting temptation, and hoping in the Lord. Great ideas! Kim Dailey, at SundaySchoolResources.com, has been teaching Sunday School for 20 years, and has instructions for 24 Bible-lesson review games based on everything from fishing to Pictionary to Tic Tac Toe. I was particularly intrigued by one called “Mother Knows Best.” You can check them all out here. Or see if the Egg-Carton Review (and other fun ideas) from Scott Allison at Faith Church in Lafayette, IN, seem like a good fit for your group of kids. Or finally, for a more involved game you can use quarterly or more, check out this Wheel Of Fortune set-up from Amy Brown, posted on the ministry-to-children.com website. 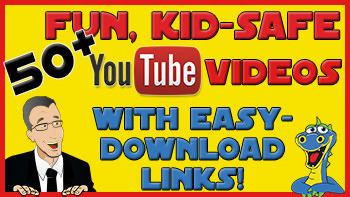 FREE RESOURCE: 50+ Hand-Picked Free Videos to spice up your kid’s church! Would your kids love Bible-based videos featuring EXPLOSIONS, SMASHED EGGS, DRAGONS, & TERRIBLE PUNS? I started making videos like that when I noticed that a lot of children’s church videos didn’t even hold MY attention – and I’m a Children’s Pastor! So I recruited Bob the Dragon and a bunch of kids and we set out to create videos that help you make your Bible lessons as fun, mesmerizing, and memorable as possible - VIDEOS YOUR KIDS WILL TELL THEIR FRIENDS ABOUT! “Seriously, that was as close to perfect as I have seen! Every child K-5th was engaged." “What stands out most to me is the integrity and passion Curt brings and gives to his audience." "We LOVED you! The kids LOVED you! I think you’ve found your calling." “You are awesome. Don't change a thing!"